I paid a rare visit to Chester, the city of my birth, last week. It is always strange to go back to places that you once knew so well but have, inevitably, changed in the intervening years. At one point I found myself walking past the old Odeon Cinema. It was all boarded up and looked rather sad. 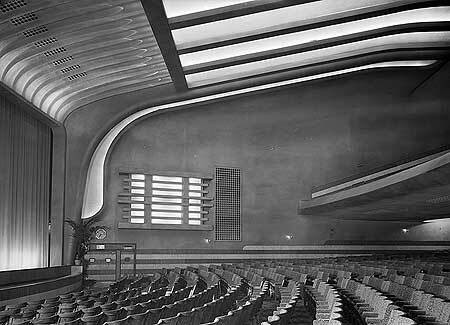 Now it is the subject of a preservation order, however, it is being converted into a state of the art theatre. I was very interested to see that as part of this process people are being invited to contribute their memories of going to the cinema there. This got me thinking about the times that I went there with my parents, and also about going the with Jake, now a veteran of two visits to the cinema. Cinema has always held a certain magic for me and, while I do not get to go as often as I would like, I still see it as a great way to spend and afternoon or evening. I clearly remember going to see my first film, Jungle Book, in Chester and being amazed by the size of the screen: a huge window on another world. While I suppose I was spoilt somewhat with my first film I remember increasingly clearly going to see other Disney classics such as Pinocchio and Bedknobs And Broomsticks, and then the great anticipation of a new James Bond film. I also remember that I liked to have the same seat on the third row of the circle, and although we were in the no smoking section you could see the cloud of smoke invading from the other side. 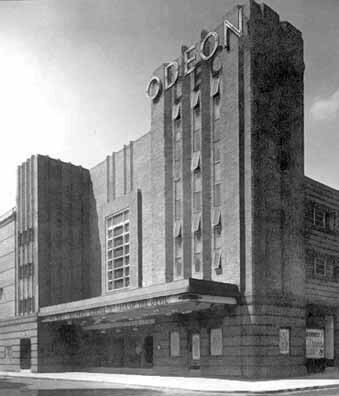 So the Odeon in Chester means a great deal to me, and I certainly want to contribute to the memories project. These memories were ones that I was keen for Jake to have as well, but I was concerned that, in these days of multi-channel TV platforms, hard disk recorders and DVDs; the cinema may not hold the same magic for him as it did for me. In need not have worried because he absolutely loved it. He loved having his own 3D glasses (we went to see the re-print of Finding Nemo first up), and really embraced the whole experience down to having the popcorn. In fact I spend quite a lot of the movie watching him being wrapped up in the whole experience, and I really hope that both he, and Sam when he is old enough, will continue to love it. My Dad always said that one of the things he missed about when I had grown up was not taking me to the cinema to see children’s films, and I can understand that now, although I did not at the time (why would I want to go and see Aladdin when Reservoir Dogs was showing) and I am so looking forward to seeing Despicable Me 2 and Monsters University this summer. In many ways visiting the cinema is a very different proposition these days from when I was young, it is certainly competing with a lot more and our local multiplex with its IMAX screens, super surround sound and 3D offering is beyond anything I could have comprehended when going to the one screen cinema of my youth. But, like with many things, the basic experience is the same and taking the boys to the cinema is something I should savour because they probably will not want me along to see Fast and Furious 15 in a few years.